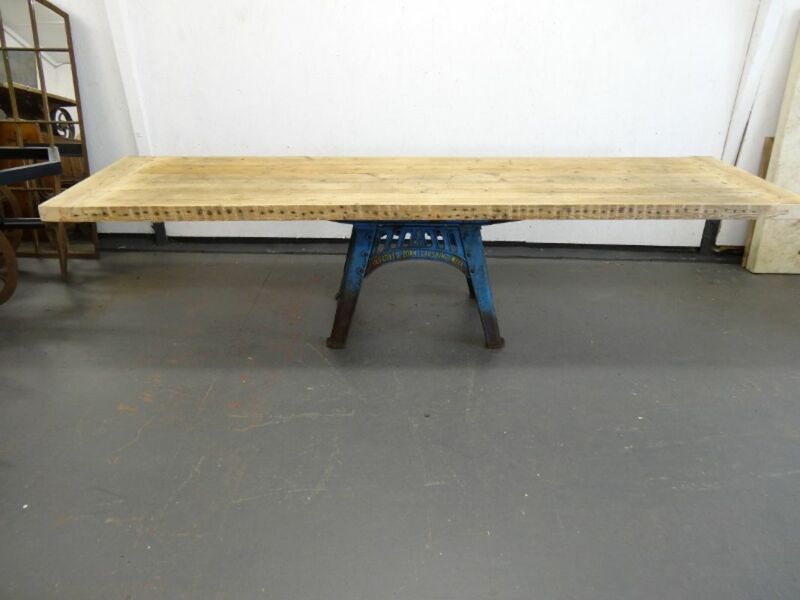 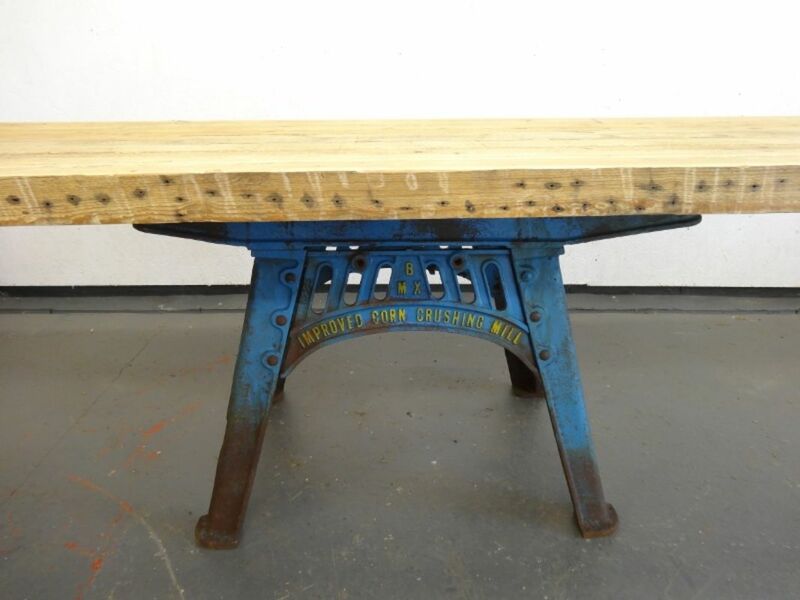 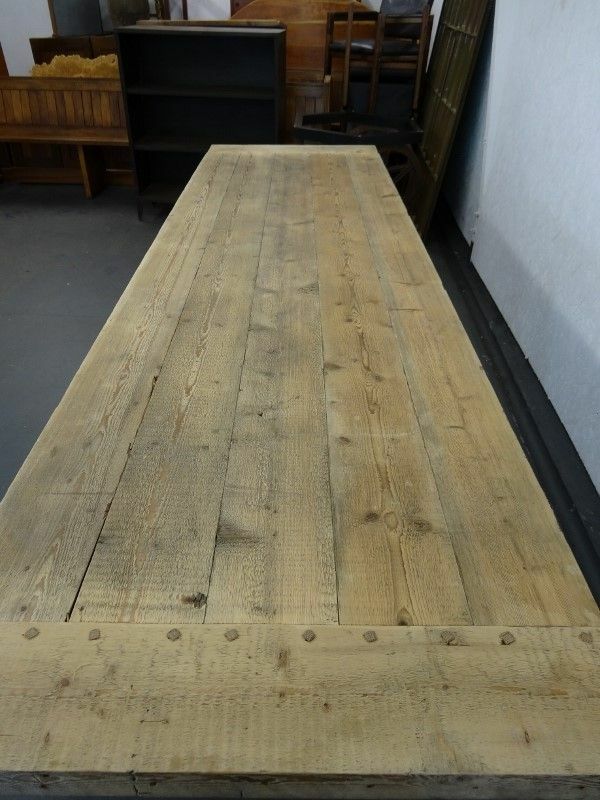 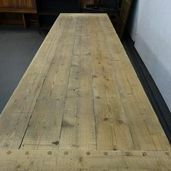 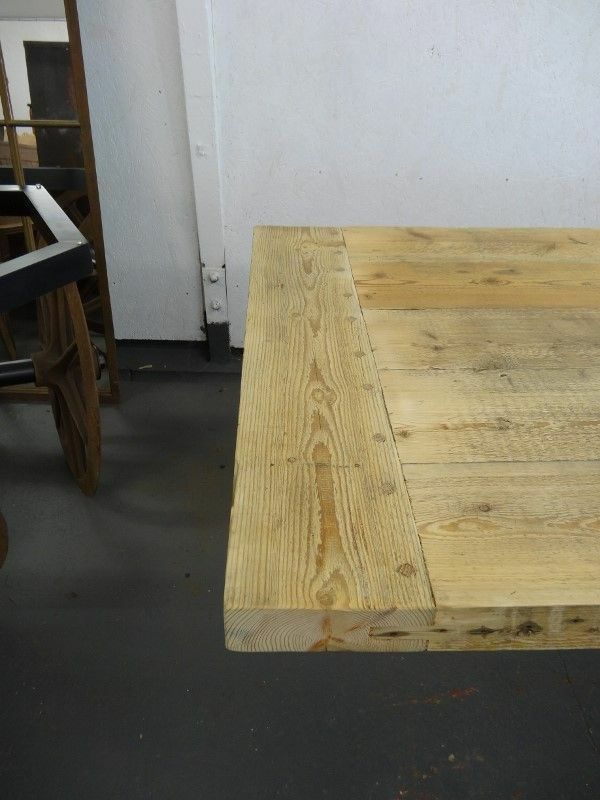 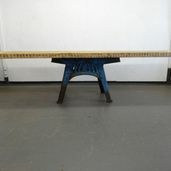 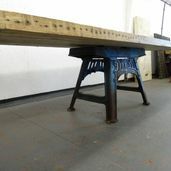 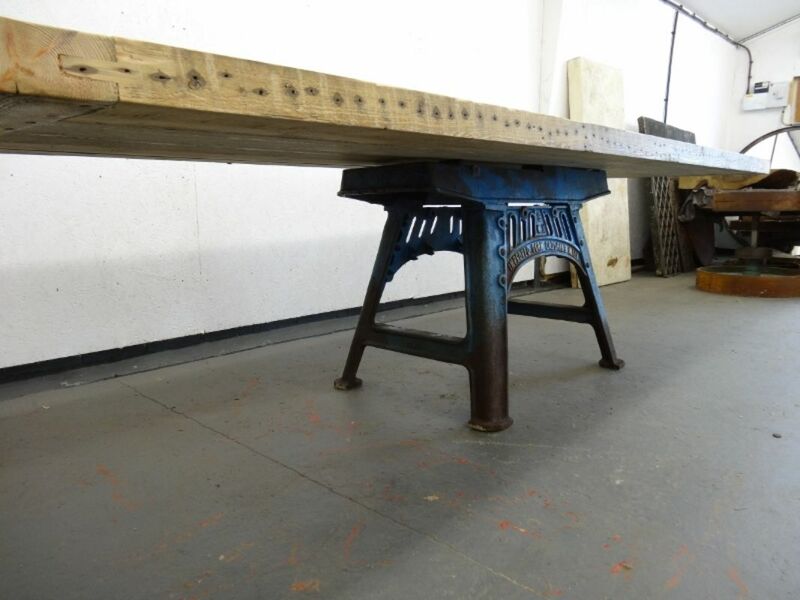 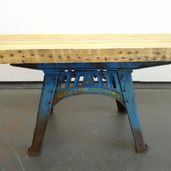 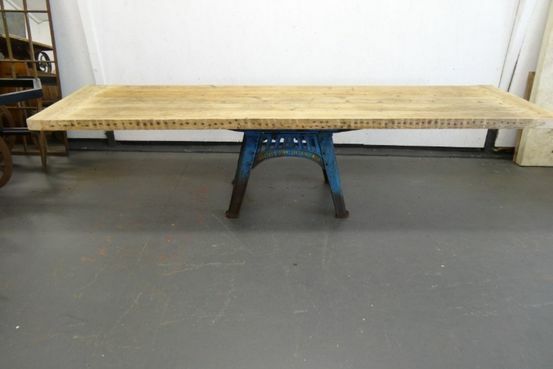 Reclaimed Pine Beam top 2 ½“ deep sat over a BMX Improved Corn Crushing Mill base. 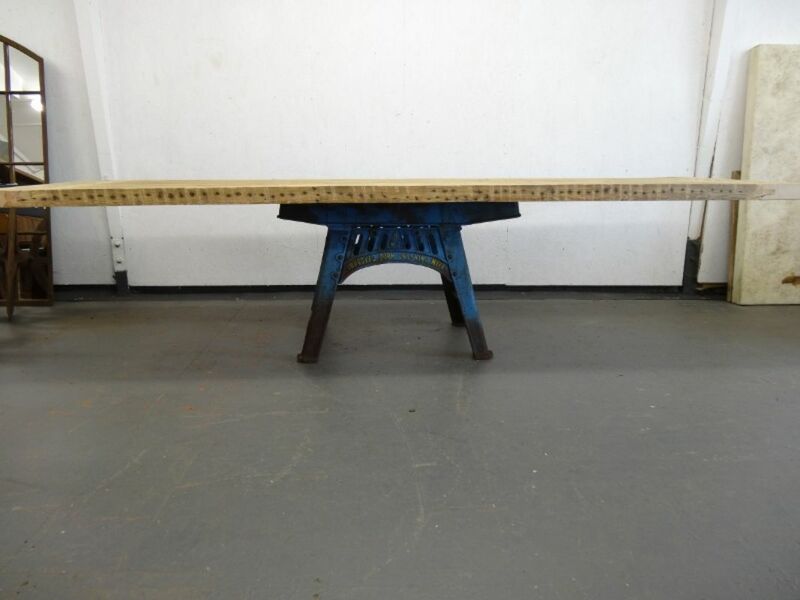 The top is 10’4” (313cm) long 35” (90cm) wide 29 ½” tall. 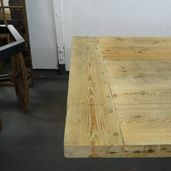 Pine top has tennoned and bread boarded ends with oak pegs through the joint.